Pregnant and largely alone, Alice Ansley of Chaplin turned to a faith-based crisis pregnancy center for guidance and support before her son was born. Ansley’s positive experience at a crisis pregnancy center contrasted with the testimony of critics, who say such centers sometimes pose as medical clinics to trick women at a vulnerable time in their lives and hand out misleading information about abortion. Gilchrest is backing House Bill 7070, which would prohibit anti-abortion centers from engaging in false or deceptive advertising practices. Advocates say that’s especially important when it comes to women’s reproductive health because some procedures, including abortion, are time-sensitive. The legislation follows a similar city ordinance in Hartford that took effect in October. Efforts to pass a statewide regulation fell short at the Capitol last year. Supporters of the measure say it would not hurt centers that do not mislead women. "If [crisis pregnancy centers] in this state aren’t participating in this type of behavior, then this law doesn’t apply,'' Gilchrest said. But those who work at the state’s more than two dozen crisis pregnancy centers say the bill is not needed because the faith-based institutions already make it it clear that they do not provide abortions. 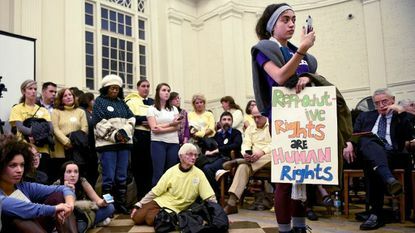 Rep. Doug Dubitsky, a Republican who represents several small towns in eastern Connecticut, said the bill is “a solution without a problem” and could have a chilling effect on all crisis pregnancy centers who may opt to close rather than face legal action by the state attorney general’s office. The public health committee is expected to vote at a later date. Several other states have tried to regulate crisis pregnancy centers, according to Rewire.News, an online publication that tracks legislation relating to reproductive health. Last year, the U.S. Supreme Court ruled that a California law requiring crisis pregnancy centers to disclose that they are not licensed medical facilities was likely unconstitutional. The court sent the case back to a lower court for reconsideration.